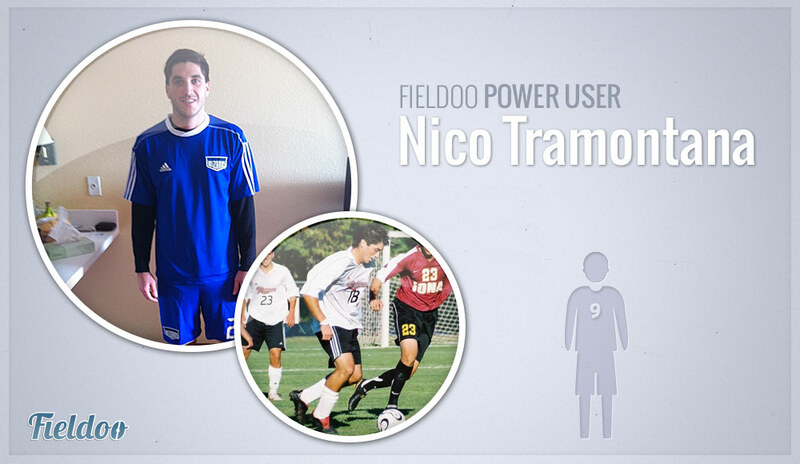 Nico Tramontana is a former USA youth national team player, a current captain of the professional American Soccer League club AC Crusaders and a Fieldoo Power User. AC Milan identified him as a prospect and asked him to sign a youth contract with them, however he later returned home for schooling. During college he played with Premier Development League club Ocean City, and National Premier Soccer League side AC Crusaders (4th division), only to keep his college scholarship. 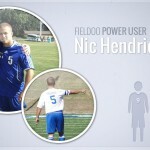 In college Nico trained with USL Professional Division side Pittsburgh Riverhounds, and MLS side LA Galaxy in his junior year. FC New York was his first stop after college, followed by a discovery player option contract with Sporting Kansas City and Philadelphia Union from the MLS. Nico, describe yourself as footballer? How do you remember your beginnings? As a footballer I am basically very tactical and focused on longevity and positioning of myself within the game. I remember just training on my own with my dad in my backyard. Just simple drills, nothing too intricate and when I was younger I would hate it, because my friends were out just having fun and all, but it obviously paid off. I started when I was four and honestly my parents just enrolled me in the local leagues that would play on the weekends. Did you train any other sports? Why was football your favourite among them? I played a couple, I played basketball as well at the second highest level. But I honestly just adopted football as it came so naturally. I love to play tennis though and I am part of the USTA circuit, as well kicking in American Football. I was invited as a kicker into the NFL combine and did very well. It was pretty amazing. 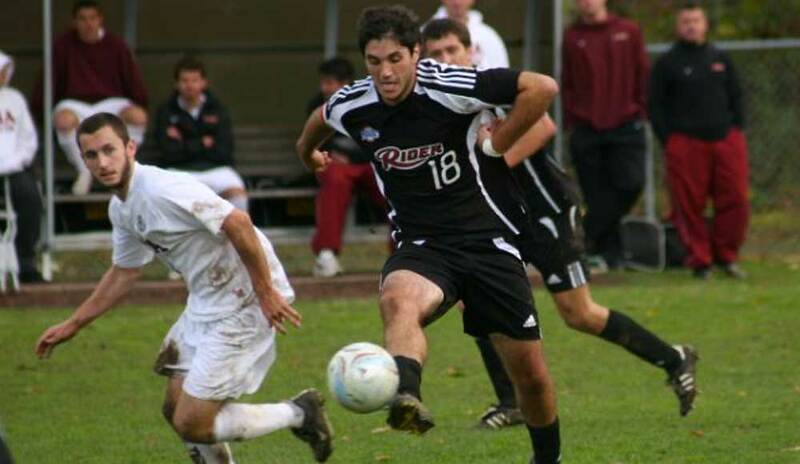 You played soccer for Rider University so it is clear that you saw the importance of education. Can you tell us more about your study? Yes in America education is the best “back-up plan”. Combining sports and education is not difficult at all, if you are determined. If you desire anything in life you will figure out how to make it happen and you will also want to be there. So for me it was relatively easy, just tiring sometimes with long days and early training mornings. Where do you see yourself as a football player in a couple of years? 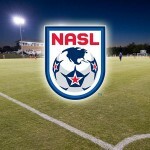 Would you like to play in MSL, NASL, US clubs in general, or would you rather travel the world? I love travelling. I have been around to around eleven countries playing and visiting. I would love to play in the MLS. At the moment I have solidified myself in the current league and we have just installed a brand new pro league here, the ASL. I will look to captain my squad and win the championship. What is the competition like in the USA? How do you think one player can stand out from the rest? Competition in the USA is very different. The levels are very distinguishable. Local club levels are very low, but you jump up when you go to an academy of say an MLS or pro team. College levels are very different between rankings, the top 20 all compete about equal, and the top ten colleges play at about the USL level which is the 2nd tier here in the states. MLS is obviously the highest level, and to make that jump it’s honestly just about keeping yourself in the game and moving, staying in position and keeping up with the pace. But if you have played on the youth national team level, playing at the MLS level is not that big of a jump. What is the transition from university football to professional football like if you compare it to Europe? That transition is very medieval honestly. You either play for the top 20 colleges in the country and you get the most looks or you play for the US national youth team for a number of years and you’re identified. Otherwise it’s all about who you know and how you know them. There isn’t a very good avenue to get to the MLS from college. I was lucky enough to make it through only because of the people I knew and met through the years and the reputation I created for myself. What is the status of soccer and soccer players in USA after the national team performed so great in the World Cup? Well now they are on late night talk shows, and they are getting covered more and more within social media. It is a good thing. American football does get the attention unfortunately, but soccer is growing fast along with the levels. Also I think Matt Besler being so young and being his first large experience held his own, made small mistakes but that is expected. I also think Demarcus Beasley played unreal in the left back position. Making that transition with a new coach at that age and playing solid was really refreshing to see. It was basically him proving himself all over again and he did really well. 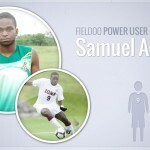 Fieldoo was recommended to me from a friend who is currently training with EPL side Newcastle United. He is trying to get signed and live over there now. So he mentioned if I wanted to lock anything down that Fieldoo might help. Being selected for the US youth national team and being able to represent my country and then to earn a starting spot and play well against the worlds top teams was unreal. Also being a pro player and just being told that “you’re good enough” after training for 15 years for that moment was just crazy. Last question: do you remember the funniest thing that ever happened to you on a football field? For me I felt embarrassed a bit, but I was beaten by a player that made a real good move on me. I was tracking him down and caught up to him. As I was running I was doing what everyone does when they chase, I was tugging on his shorts a bit as I got closer, and right then his shorts fell to the ground he tripped and fell face first and I got called for the foul. I just felt bad, but was laughing with the player because we both knew what happened.